Motherhood is wonderful but it can also be a tired blur of nappies, screaming babies and endless cooking and cleaning. So what happens to the woman who was there before she became a mum? You don’t have to lose yourself in the parenting trenches, here is how you can hold onto your identity and still feel like you’re doing a good job as a mum. Don’t just dream it…do it! A lot of mums find they put everyone else’s needs in the family before their own, but yours are just as important. Days can roll into months when you’re looking after a family (and sleep deprived to boot), so schedule your precious me-time in the diary just like it was a child’s doctor appointment. At least weekly if possible. This could be anything from having a massage, getting your nails done, seeing a movie, taking a yoga class – whatever you like to do. Just make sure it’s something for yourself and preferably alone, because being by yourself is as rare as hen’s teeth when you’re a mum. Don’t feel guilty, the washing can wait, the kids will be okay with someone else holding the fort for you – you need this! You’ll be a calmer, happier mum for it. If there are lots of activities you did prior to having kids, instead of dropping them completely or trying to squeeze them into your me-time why not try and involve the children instead? If exercise was your thing, push the pram around the block or join a mums and bubs fitness class. If you love gardening, let them play in the dirt next to you while you pull weeds and plant seeds. And if you were a jet setter, plan a holiday where you take the kids with you, because even though vacations can be tricky with little ones (and expensive), they’re still pretty awesome. Nothing like a good laugh with an old friend to make you feel like you again. 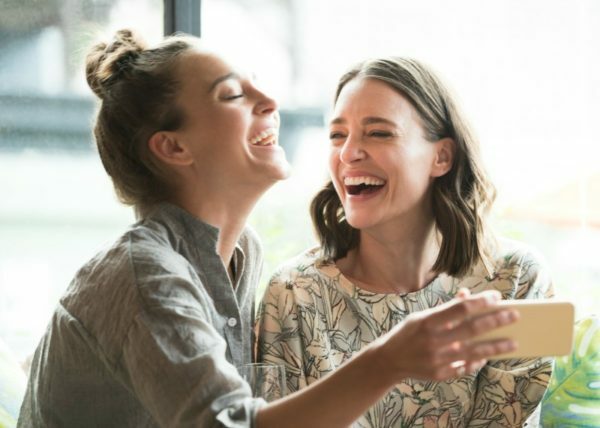 It’s easy to become isolated when you’re a stay-at-home mum, and even if you have some great new friends from your mother’s group, the topic of conversation is inevitably baby talk. Make sure you stay in touch with all of your old friends who knew you before you were a mum – even if it’s just via phone or social media when your baby’s asleep. Also don’t forget your former work pals, it will keep you in the loop with your old workplace which can be handy if you’re planning to go back there at some point. We’ve all been there. Your baby is having their first birthday and you’re still rocking your tired old maternity outfits, or trackies and spew covered old tees because nothing else is clean. Time to get out your old pre-baby threads and make an effort – especially if you’re no longer breastfeeding. You’ll feel so much better if you look like your old self. If you can’t fit into your old wardrobe anymore, no worries! As if you really needed an excuse for a bit of retail therapy. It doesn’t have to all be Play School on the telly and Wiggles on the stereo. When the kids are having breakfast why not pop on the news or a lifestyle TV show? They won’t want to watch it anyway. Don’t forget to crank your favourite songs around the house and in the car, too. Little kids love all kinds of music, and if you’re into it they’ll most likely love it too. Baby nap time is a great time to get stuck into a new venture or project. Having something ‘adult’ to focus on other than what’s for dinner and which kid smacked who is important for mums. If you’re not back at work you could set up a new business from home, do some interior decorating around the house, take an online course, do some volunteering or start a book club with your friends. Whether it’s a hobby, career goal, new skill or a way to help others – you’ll find so much satisfaction out of doing something on top of caring for the kids. If you have a partner, don’t forget about them! Parents need time together without kids, just as much as they need individual me-time. Organise a date night (or another time) in the calendar at least once a month – more if you can manage it. Sure, you’ll probably spend the whole time talking about your adorable kids, but the fact you’re out and about without them can do wonders for your relationship, which in turn will make you both better parents. How do you keep your identity as a mum?